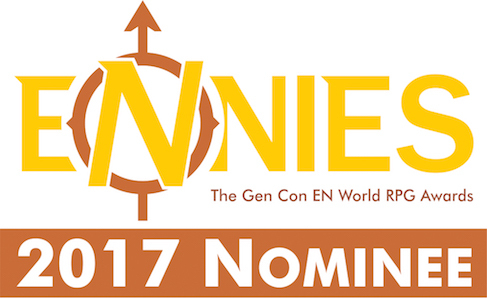 We’re pleased to announce that Spellburn has been nominated for an Ennie in the podcast category. How cool is that? What can you do to support Spellburn? Voting opens on July 11, 2017 for the Ennies. Vote for Spellburn in the podcast category and then party with us at GENCON 2017! Learn more here at the Ennies site! Great episode! Now I want to buy every module. Thanks John, we tried to make it really easy for you to buy every module, but buy responsibly!